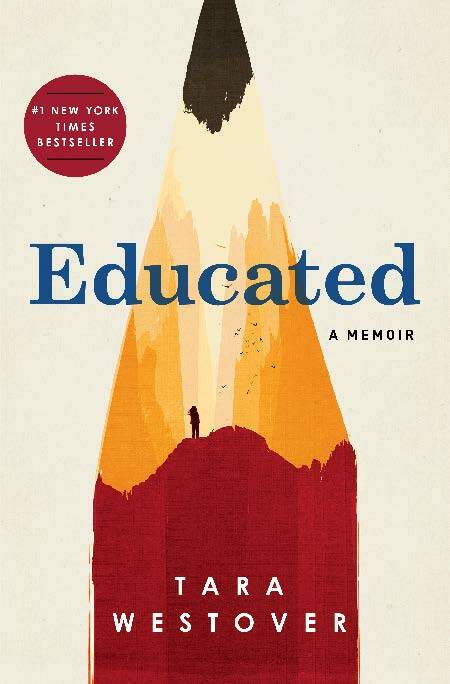 Tara Westover’s best-selling recounting of her pursuit of a college education after being raised “off the grid” in the rugged mountains of Idaho has been chosen as West Virginia University’s 2019-2020 Campus Read. Westover’s ‘Educated: A Memoir’ tells the story of her survivalist family, in which children were not permitted to attend school or even visit hospitals when they were hurt doing salvage work in their father’s junkyard. With no formal schooling, and with only intermittent home-schooling from her parents, Westover educated herself, eventually learning enough mathematics and grammar to gain admission to Brigham Young University. “Educated’ chronicles her extraordinary and occasionally harrowing journey and is ultimately a powerful testament to the transformative power of education: when Westover entered college, she had never even heard of the Holocaust, but with the encouragement of professors who recognized her potential, she not only graduated but eventually earned a Ph.D. in history from Cambridge University. ‘Educated’ was one of the best-reviewed books of 2018 and a finalist for multiple National Book Critics’ Circle Awards. The WVU campus community was given the opportunity to suggest books for the 2019-20 Campus Read throughout the year at the Campus Read website. A selection committee narrowed the list from those suggested and reviewed five books in a variety of genres, summarizing the merits of each as a potential Campus Read in a report to the Provost’s Office, which makes the final determination. ‘Educated’ was a clear standout for many readers, including the members of the Honors student book study course, who read all of the five final selections. “The students who read these books offered fantastic insights about each text but found Westover’s book both a great read and an occasion to reflect on their own educational journey,” said Ryan Claycomb, acting dean of the WVU Honors College and director of the WVU Humanities Center, which runs the Campus Read. This is the fifth year WVU has chosen a Campus Read to engage the campus, particularly first-year students, in a yearlong discussion about the themes of a single book. Westover’s pursuit of knowledge is at the heart of her memoir and will resonate with many members of the campus community, faculty and students alike. Copies of “Educated” will be on sale in the WVU Bookstore beginning in June, so that incoming students and their families can purchase copies during New Student Orientation. Throughout the 2019-2020 academic year, there will be opportunities for faculty and staff to incorporate the book into courses and programs at all levels and on all campuses. A program committee is also convening to develop events centering around ‘Educated’ and its themes of resilience and persistence that will be open to both the campus and local communities. All Campus Read events will be posted on the Campus Read event calendar as they are announced.